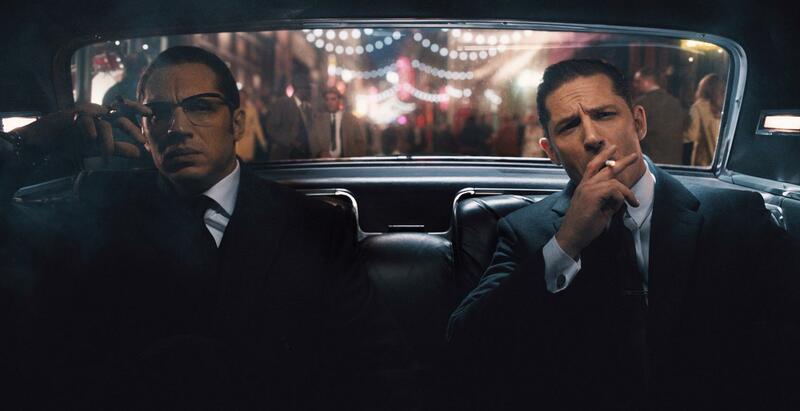 Apart from Eddie Redmayne camping out in the Best Actor slot of the Academy Awards and Michael Fassbender taking all the Oscar roles that are left over, Tom Hardy is the hottest professional in the game right now and the most likely to blow your mind. Since Warrior in 2011, Hardy has been a steamroller of talent, barreling forward at a steady, ground-eating pace that shows to signs of slowing down or veering from the path. Lawless, The Dark Knight Rises, Locke, The Drop, Child 44, Fury Road, now Legend, soon The Revenant; his roles are a little less emotional than Redmayne’s, less dramatic than Fassbender’s, but no less intense or deserving of recognition. And yet somehow, in this film, everything positive that he’s worked toward is covered over with negatives by a terrible director and the movie he flopped despite Hardy’s natural gifts. London, the 1960s, a time of clubs, drugs, and cash, when the British mob ran the show. And who ran the British mob? Why, the Krays, that’s who, Reggie & Ronnie Kray, the twin kings of the East End and beyond. Reggie was the brains of the operation, the handsome smooth talker who understood what was needed to create & support a crime kingdom. Ronnie was the muscle, or at least the brother crazy enough to not care who got killed. But Ronnie’s lack of sanity & control would ultimately lead to more trouble than success, forcing Reggie to pick between his ambition and his blood. Muddling the whole venture was Frances, the love of Reggie’s life, and the girl who stands between he & his twin. Something’s gotta give, especially with the American mafia moving in on the scene, a situation that will only make London more violent than it already is. 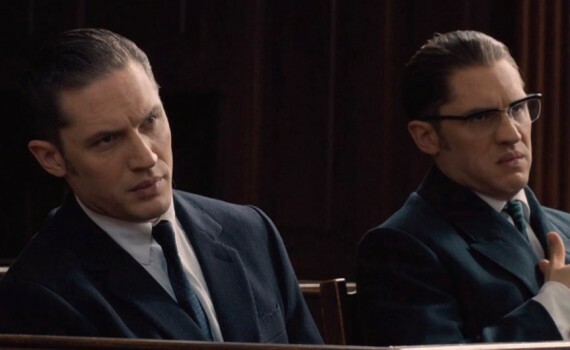 Without Tom Hardy, Legend might have ended up as badly as Public Enemies, which will always stick with me as one of the most disappointing movies that I’ve ever seen, especially considering the cast. Well, Legend wasn’t much less of a negative surprise, given how much I’ve come to respect Hardy, but he was hardly the problem. Hardy was strong twice over as both Reggie & Ronnie, supporting the creation of two characters played by one man, keeping the gimmick from becoming a joke. Instead, he portrayed two very different men, showed his multifaceted talent once again, and added to his growing list of spectacular performances. He can, apparently, do no wrong these days, even in a film that never equaled his commitment or talent. It was as if a very, very bad movie was circling a very, very special actor, allowing him to do what he does best, but failing to add anything positive to the story, action, or feel. Bad choices abounded, from the music that didn’t fit to the pace that put you to sleep. Director Brian Helgeland has written some pretty incredible stuff: L.A. Confidential, Conspiracy Theory, A Knight’s Tale, Mystic River, Man on Fire, 42. But his directing resume is limited, and it’s obvious that he doesn’t quite have a feel for the job quite yet. Pacing, realism, emotion, bringing a biography to life; these things take time to perfect, and Helgeland doesn’t have it down yet. Also, casting Emily Browning as the narrator/love interest was a mistake; she’s not actually…good. Taron Egerton and David Thewlis as side characters worked, but the movie as a whole never did, taking far too long to say far too little and forgetting to take Hardy off the island that he found himself living comfortably on but never interacting with the rest of the project.